Runs better on Windows 7 and later with the multiple core CPU fix. Shares many similarities with Fallout: New Vegas in terms of its engine and performance. Fallout 3 Nexus - the most popular host for almost all Fallout 3 mods. Launcher uses SecuROM 7 DRM disc check, run with Fallout3.exe to bypass. Some other copies use SafeDisc v4.85 DRM[Note 1]. Game of the Year Edition, multi-core issues are fixed. All versions except GOG.com require Games for Windows - LIVE DRM. [Note 2] GFWL can be disabled by running the game through FOSE. Additionally, all non-retail copies except GOG.com require Steam DRM. The Game of the Year Edition includes all DLC, and is the best choice for price and modding capability. The German version only includes the German language and has content differences (e.g. no blood/gore). The GOG.com version is uncensored for Germans. The v 1.7 patch updates the game to the latest version. GOG.com and Steam versions are already patched. The Retail Game of the Year Edition will apply the patch during the DLC disc installation. Delete or rename Fallout INTRO Vsk.bik. If any of the 5 DLCs aren't present, an older bugged version is installed. A bug prevents the hiring of a certain follower even when the player meets the requirements. The patch can be temporarily removed in order to access this functionality, and re-enabled afterwards. Disables Games for Windows - LIVE (GFWL) when run. 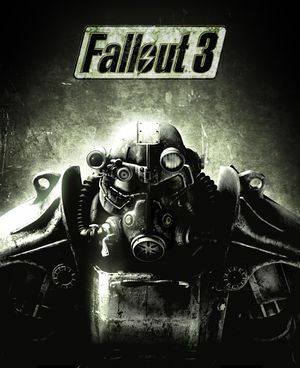 Used by many Fallout 3 mods to extend the scripting capabilities of Fallout 3's game engine. Russian and Polish DVD retail copies, Direct2Drive copies, and the unpatched game (1.0.0.12) are all unsupported. Requires Fallout 3 Script Extender. The section bHookLightCriticalSections = 1 under <path-to-game>\Data\fose\plugins has been a cause for stutter for some, and it is therefore advised to set it to 0 if you experience such issues. Fixes strange, dated and wonky animations. Adds proper iron sights to vanilla guns. Tale of Two Wastelands combines Fallout 3 and Fallout: New Vegas into a single game. It uses the New Vegas engine. It also requires you to have all of the DLC. Games for Windows Live can be disabled as an alternative to using a local profile. Requires Fallout 3 v1.1 or higher. Removes login delay, reducing startup time. Use the 'Move DLC's' button to get DLC working again. Steam version of Game of the Year Edition owners do not need to move DLC. If Fallout 3 crashes on launch, this patcher may get it running. Configures fallout.ini (or creates it if non existent) to run properly on Windows 10 automatically, including the Multi-core CPU fix. Provides links to GfWL, DirectX 9, and .NET Runtime which are required to launch the game. If logged into Games for Windows LIVE, the game will save the save files under the currently logged-in username. If logged out of the service, the game will be unable to locate the saves. If you restart the game, your saves should be detected. Working using Borderless Windowed, ShiftWindow and AutoHotkey. Set in launcher. Up to 16 samples. Toggle in launcher is broken. Set iPresentInterval=0 in fallout.ini to disable. Possible using Fallout Stutter Remover mod. Run the game with the mod installed then edit the config file to set the maximum FPS to whatever you like (may cause some instability). Adds support for multi-monitor displays. Displays HUD on the middle display. Change the FOV value based on your aspect ratio. Shows one subtitle at a time. May require DirectSound3D restoration software to restore proper audio functionality on Vista and later (Included in HRTF mod). The German version only includes the German language. Use Helix Mod: Fallout 3 for better 3D support. The most common fix required for this game. Not required for the GOG.com version. Make sure you can log in GFWL In case of any problems, run Fallout 3 in compatibility mode - Windows XP SP3, and GFWL installer in Windows 7 copatibility mode. If the game is crashing on start-up, disabling any other monitors in use could resolve this. 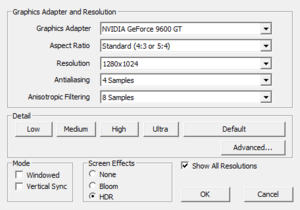 In the Screen Resolution Control Panel, click on the drop down list labeled "Multiple Displays" and select "Show desktop only on 1" (or the monitor you wish to run the game on). Click apply then on the pop-up window click "Keep changes". If fallout3.exe does nothing when trying to open it, your FalloutPrefs.ini may be referencing an old GPU. It should look something like this sD3DDevice="AMD Radeon R9 200 Series"
Check if renaming <path-to-game>\Data\Music or <path-to-game>\Data\Video solves the issue. 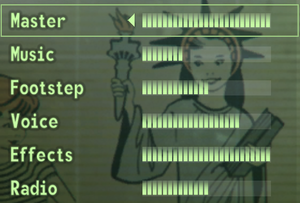 Commonly caused by an issue with current MP3 codec, the format used exclusively by songs played through Pip-Boy radio. The music may not be stuttering when the game is minimized, with the song played normally. Try the Audio Codec fix for game crashes first, if your Pip-Boy radio still skips (test with the enclave channel) owners of a creative soundcard may find that this helps. 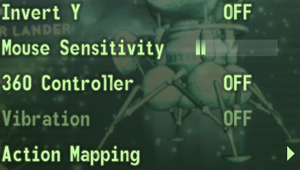 Add Fallout 3 to Creative Alchemy: select Use Registry Path and point it to HKEY_LOCAL_MACHINE\SOFTWARE\Bethesda Softworks\Fallout3\Installed Path. Do not install to subfolder. Settings should be: Buffers=10; Duration=5; Maximum Voice Count=128. Leave direct music enabled. Might work with similar codec packs, for example ffdshow. Open LAV Splitter Configuration program by finding the shortcut in the Start Menu. In Input Formats tab, find mp3 codec and uncheck it. This might occur if you had a Creative soundcard installed at any point, then removed it. Ensure that Fallout 3 is not in the "ALchemy-enabled Games" column. This patch may remove GFWL! ↑ 3.0 3.1 File/folder structure within this directory reflects the path(s) listed for Windows and/or Steam game data (use Wine regedit to access Windows registry paths). Games with Steam Cloud support may store data in ~/.steam/steam/userdata/<user-id>/22300/ in addition to or instead of this directory. The app ID (22300) may differ in some cases. Treat backslashes as forward slashes. See the glossary page for details.